This $5 Gold Liberty Half eagle was struck at the 'Mother Mint' in Philadelphia. It's the first Gold Half Eagle coin to bear a date in the 1900s. 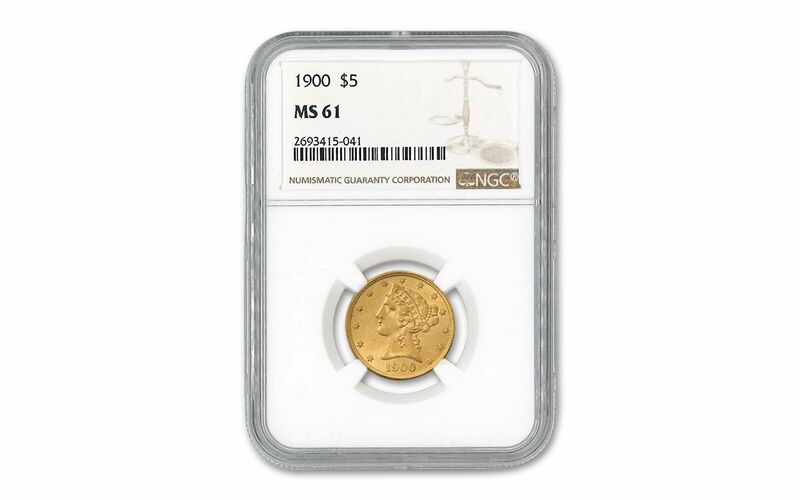 The coin grades Mint State-61 (MS61) by Numismatic Guaranty Corporation (NGC). Owning a gold coin struck at the Philadelphia Mint is owning a true piece of American Numismatic history. Gold coins were first struck at Philadelphia in 1795. 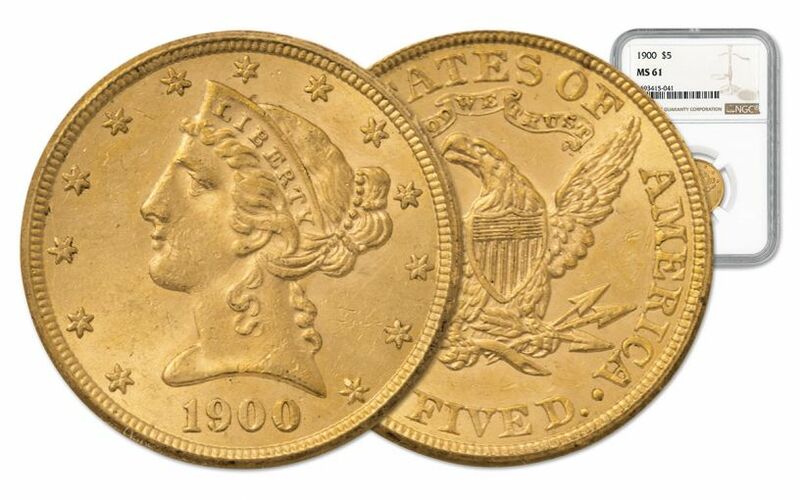 At that time the largest denomination gold coin was $10, and as this coin became known as an 'Eagle' because of the prominent eagle displayed on the reverse. 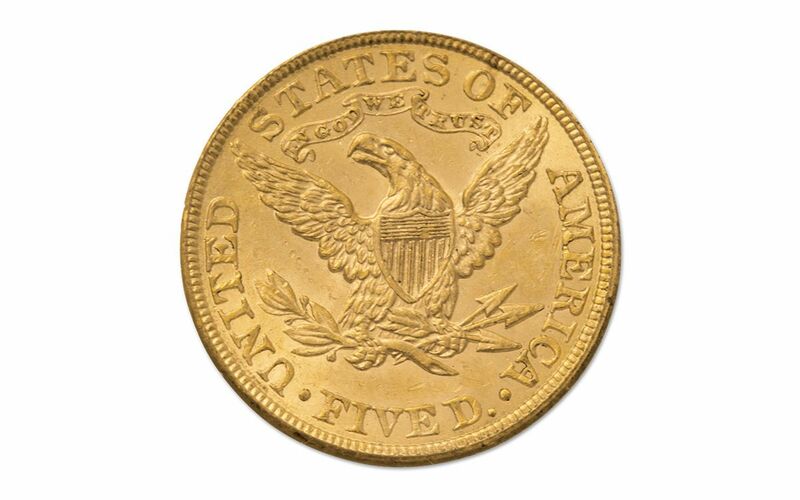 The $5 gold piece was called the 'Half Eagle'. 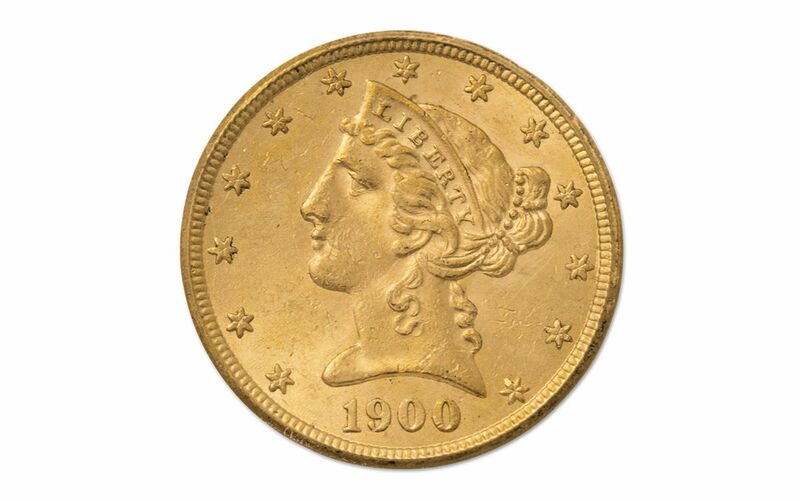 Securing even one U.S. Vintage gold coin is the quest of many collectors, and this first 1900s $5 Gold Liberty in uncirculated condition fulfills that quest. But once you have one, you'll want more. The next step for many collectors is to assemble a 12-piece U.S. Mint Vintage Gold Coin Type set. This 1900 $5 gold piece will fit right into the 12-piece set. Order it today!